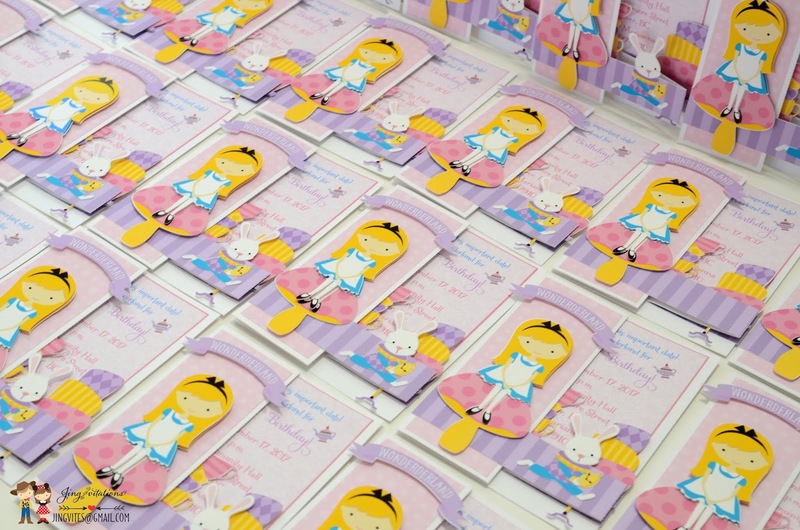 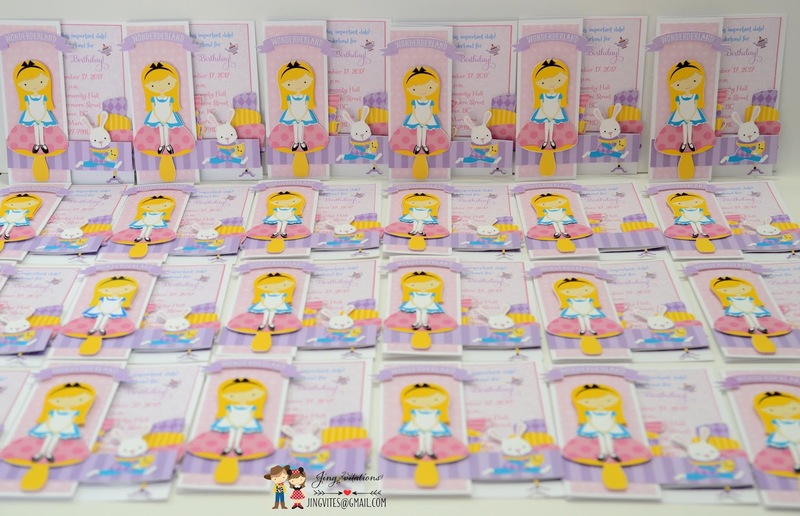 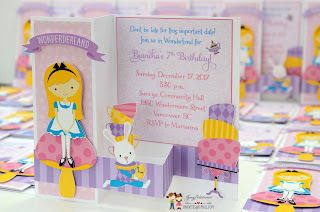 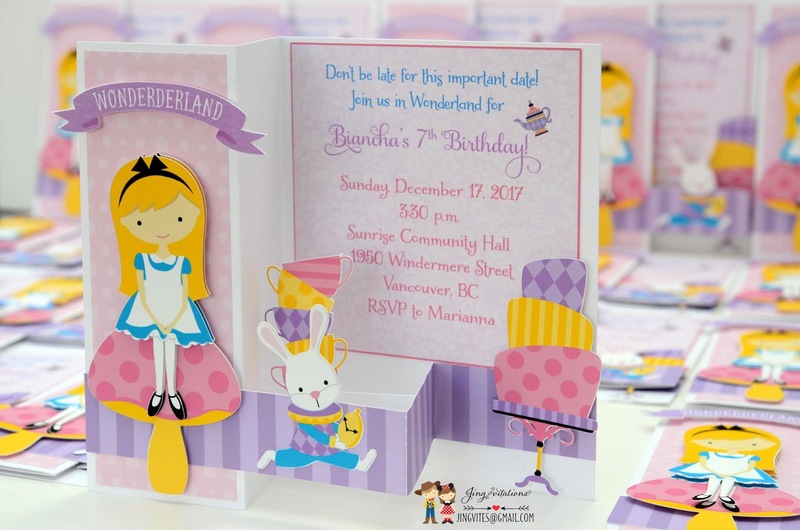 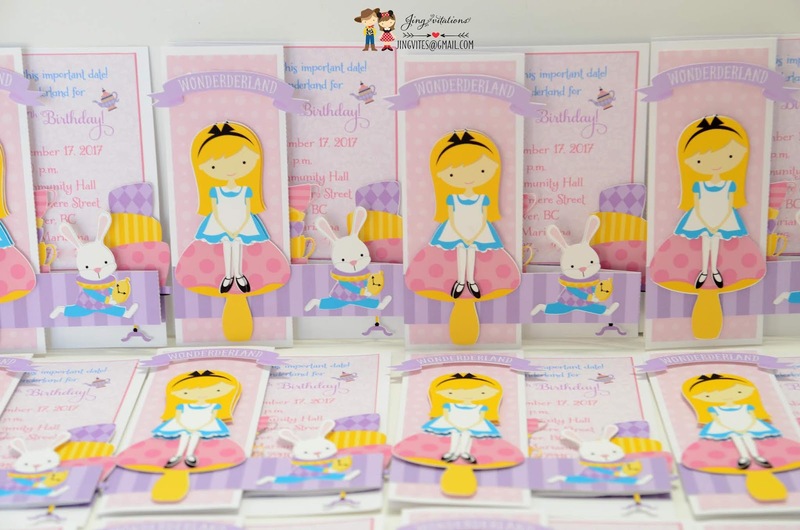 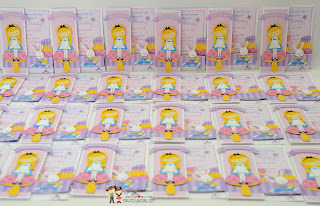 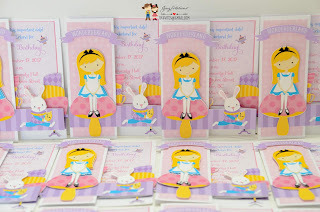 Alice in Wonderland Handmade Invitations. 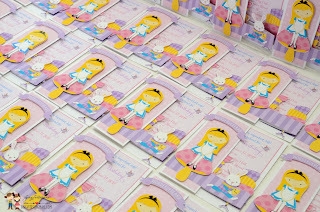 Pastel colors pleasing to the eyes. 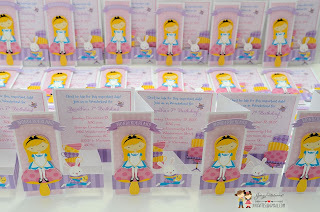 Invitations can also be used for tea party. 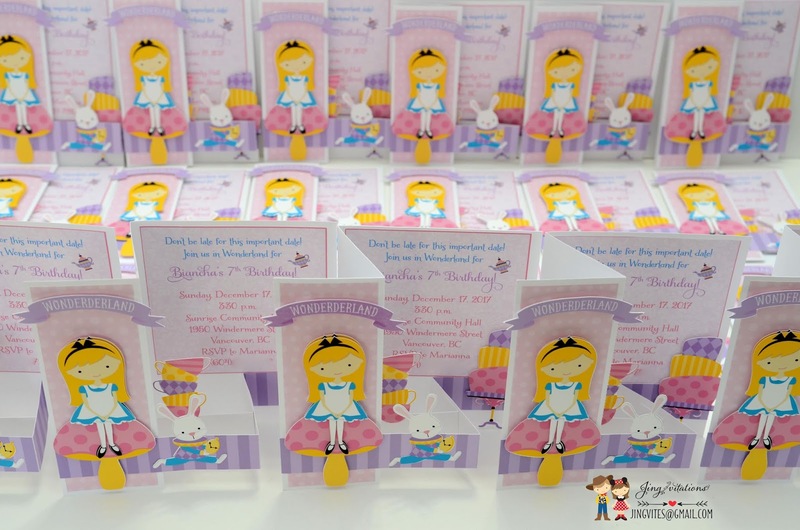 Stands by itself but folds flat to fit in the envelope.